As time goes on we’re seeing more and more transgender and LGBTQIA game characters introduced to the world. When LGBTQIA people are included in some sort of media people are often quick to pick it apart and figure out whether the representation is positive, realistic, and helpful or whether it has harmful implications, misinformation, or hate. However, it’s not often that we look at the representation of characters from our past. What better place to start than at the beginning? 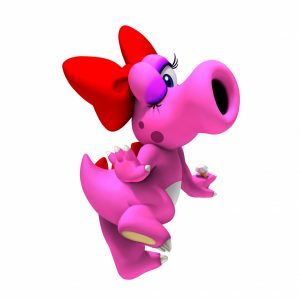 Birdo may not be the first LGBTQIA character, but she is the first transgender character in gaming. Looks like Nintendo has more firsts under their belt than we thought. Birdo is a character that has been around in the Mario franchise almost as long as our marvelous mustachioed friend. Remember the pink dinosaur with the bow who keeps spitting eggs at you in Super Mario Bros 2? Yep that’s her. Since her short lived rivalry with Peach, Mario, Luigi, and Toad she has moved on to become a regular in the Mario series. Appearing in games such as Mario Tennis, Mario Kart, and the Mario Party series to name just a few. 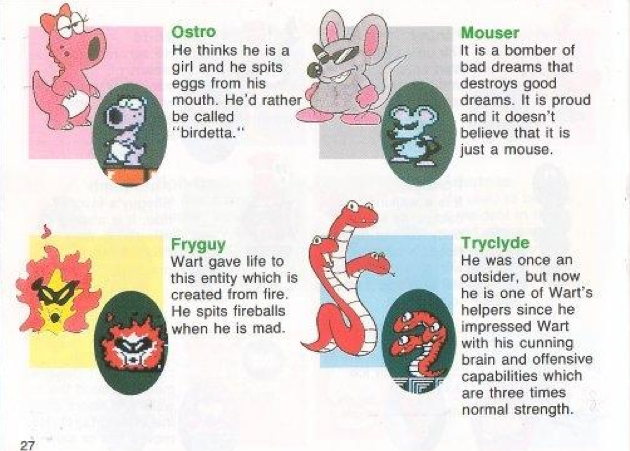 In the manual (pressed sheets of trees that used to come with games) included with Super Mario 2 Birdo was shown with the description “Ostro, he thinks he is a girl. He’d rather be called Birdetta”. This was 1988, so most people at this time weren’t all that aware of transgender people. They didn’t know misgendering was a thing or that it’s an inappropriate thing to do. Because of the wording and misgendering in her origin she is the subject of heated debate to this day. 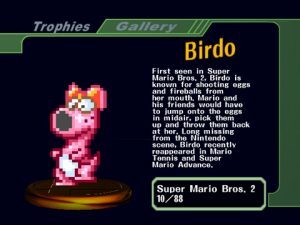 The Birdo debate surrounds her origin and how her representation is handled. Because of the misgendering in her origin, Birdo is often referred to as male. 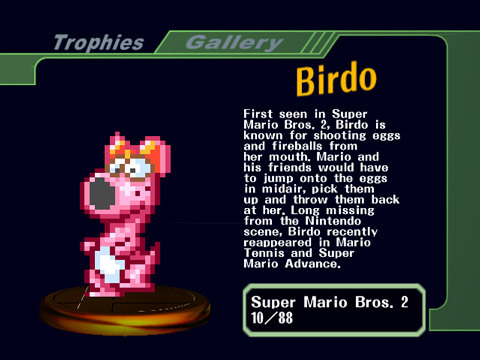 But let’s be clear, Birdo is without question a female. There are those that believe Birdo was retroactively declared, or retconned, female, ignoring her origin story and making her a cisgender woman. Her being retconned female doesn’t necessarily mean that those who believe this believe she is a man. This is probably what is happening with Birdo, as Nintendo is not the best when it comes to LGBTQIA related politics. There is a theory about her going through gender reassignment surgery (GRS). This one is highly unlikely, it gives Nintendo too much credit. If any kind of transitioning was done it was a social transition or maybe hormonal, which would ideally mean everyone uses she/her pronouns. This also suggests that she wasn’t treated as female until after GRS, which is possible in this case as it does happen a lot in real life; but it’s wrong. Identifying as female makes you female, you don’t need surgery for that, end of story. My thought is that Nintendo just started using her pronouns. The only way for this to be settled is for Nintendo to flat out say so. 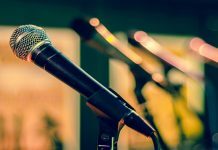 There is a lot of evidence for all the arguments, but about half can be interpreted as bias or ignorance on gender issues depending on who is delivering it. The first game misgenders her but in future games they do use the correct pronouns for her. In Super Smash Bros a trophy describes her as “gender indeterminate” and that her eggs are fake. Further cementing her not being a cis woman. 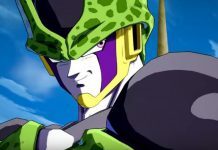 In fact, she was voice acted by Japanese trans people (referred to as Okama by various sources) but with masculine voices or flamboyant masculine voices. Disturbingly enough, Okama is a slur that suggests trans women and gay men are highly promiscuous. The appropriate term for transgender Japanese people is “trans kei.” Thanks @ToyCapsule for this nugget of knowledge. If Nintendo does really portray Birdo as being a trans woman then the fact that she never comes out means she is stealth. Which is being trans without being out. LGBTQIA representation in media is supposed to dispel misconceptions, to make characters relatable, and maybe make people rethink about how they treat marginalized groups. So while it may seem silly to argue the identity of a transgender dinosaur it is very important that we have all the positive representation we can get. Is Birdo an example of positive representation? If you believe she is a trans woman then I’d say yes. Though, the constant attempts to bury her identity by Nintendo and the community does make it harder to say yes. While it’s rarely said she is trans explicitly, that it was said once at all is enough for Birdo to be considered trans. Personally, I can’t wait for her to be in more games; and who knows, maybe Nintendo will be more open about her identity in the future. 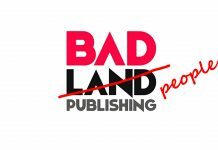 What do you think about the article and Birdo’s representation? Let me know your thoughts in the comments.